Danny Boyle’s supercharged heroin drama Trainspotting kicks off at a run, panting and pithy. Upon its release in 1996, the film was met with hype and hysteria and not a little scorn. It was condemned by critics and Daily Mail crusaders who deemed it irresponsible and accused it of glamorising drug use. 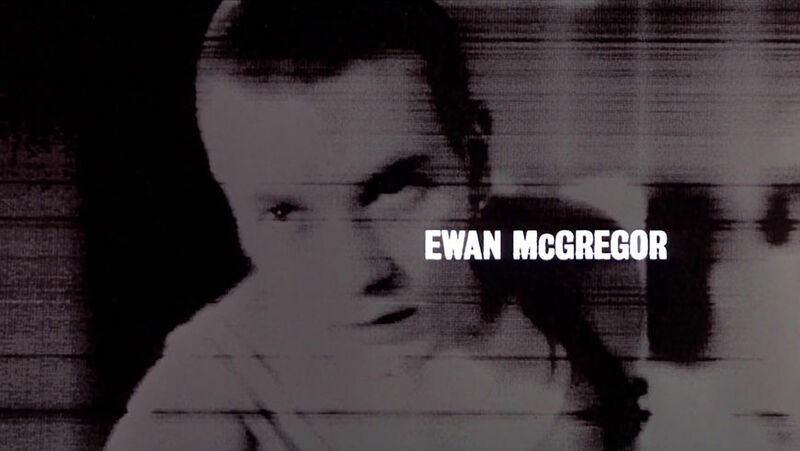 But Trainspotting is a horse of a different colour, a film that uses electrifying style, unflinching empathy and coruscating language to give voice to a generation trapped in the margins. The opening title sequence is a lengthy, haphazard affair featuring narration, a roll call, several scenes, and a chase. As Iggy Pop’s “Lust for Life” barges in and Ewan McGregor’s voice narrates, author Irvine Welsh’s characters are introduced at breakneck speed, hoofing it down Princes Street in Edinburgh. First comes McGregor’s Renton, staring wild into the eyes of a driver who narrowly avoids hitting him. He’s smiling, alone and set apart from the rest of the cast. Cut to a football match (actually filmed in Glasgow), where Sick Boy shouts in indignation, Begbie gets his rocks off, Spud sputters about in the goal, and Tommy is overwhelmed in a corner. Their names appear alongside their frozen forms, scratchy and mussed. 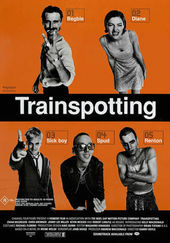 Set in the late 1980s, Trainspotting takes place in a time when Scotland was caught in a vice grip of high unemployment and a so-called "heroin epidemic" which nearly led to a national outbreak of HIV/AIDS. 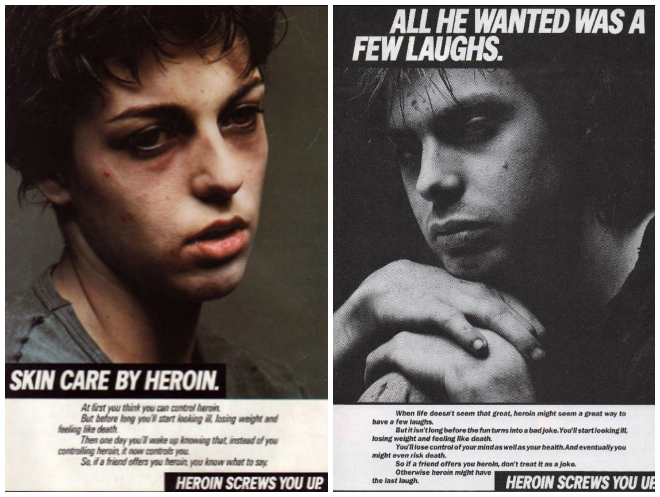 Prominent anti-drug messaging appeared in memorable advertising campaigns like "Heroin Screws You Up", devised by Sammy Harari, then director of the advertising agency Yellowhammer. The print advertising and commercials were intended to shock and frighten people from trying the drug, the TV spots shot in a cinema verité style with minimal set-up and lighting. They also highlighted a sort of brutal, grungy, lean aesthetic – heroin chic. In its derelict sets and soiled clothes Trainspotting crystallized this look, boiling down the residue of these campaigns along with music video influences and hints of the surreal. For the design elements of Trainspotting, Dylan Kendle and Jason Kedgley of multidisciplinary collective Tomato generated grimy titles and burned out images of the cast, matching the film’s filthy yet minimal aesthetic while drawing on influences including Sam Peckinpah and the Vorticist movement. 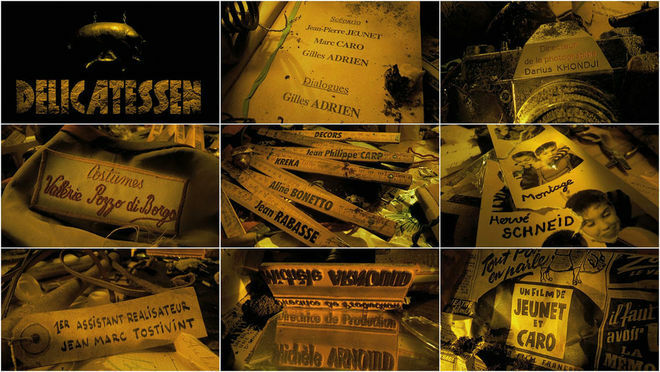 The opening narration became a kind of mantra, made even more famous thanks to promotional posters. The phrase at the start – "Choose life" – was first popularized by English design icon Katharine Hamnett, appearing on oversized t-shirts worn by members of pop acts like Wham! and Queen throughout the ’80s. For Hamnett, the statement was a political one, a rejection of consumerism. 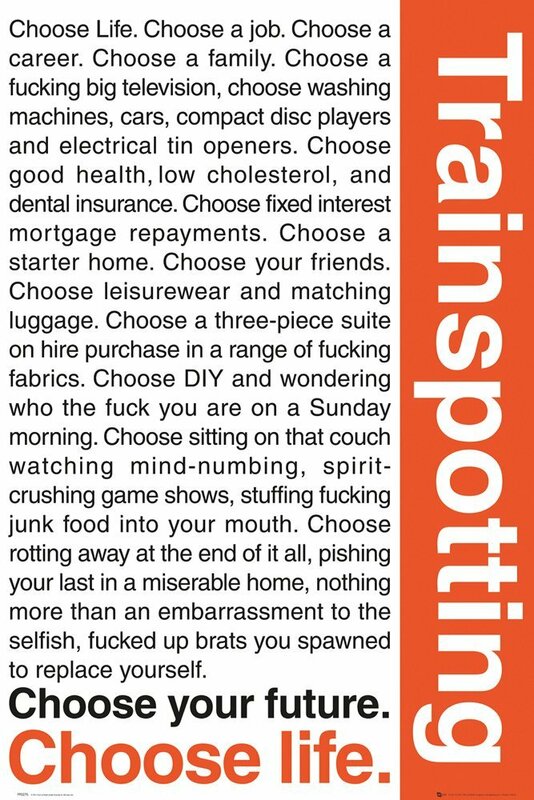 Trainspotting takes the phrase and builds upon it, laying out a list of choices – the typical dangling carrots of capitalism – and then pushes it all aside in favour of heroin and nihilism. In navigating between electrifying style and terrible squalor, Trainspotting ignited a massive fanbase. It came to represent a specific time and place, becoming the voice for an alienated generation and an attempt to contextualize addiction and disease as byproducts of an ecosystem. Of course, it also became the film most quoted in American college dorms. At least, until the release of Fight Club, three years later. A discussion with Trainspotting Title Designer DYLAN KENDLE of Tomato. Can you give us a bit of background on yourself? How did you get into design and how long have you been with Tomato? DK: Right, so my father was a graphic designer. I suppose I followed in his footsteps. I went to art school and I was at Camberwell when I met two of Tomato... Tomato is a collective. I think they started in ’91 and I probably met them in ’92. And two of them actually taught at Camberwell, which is where I was a student. And so I got to know them… we used to go to the same pub in town. I started taking my sketchbook to the pub on Friday afternoons, so I would kind of have impromptu crits when it felt appropriate! [laughs] I worked with them on a couple of projects and then I asked to join them. Tomato was really my first job after college. 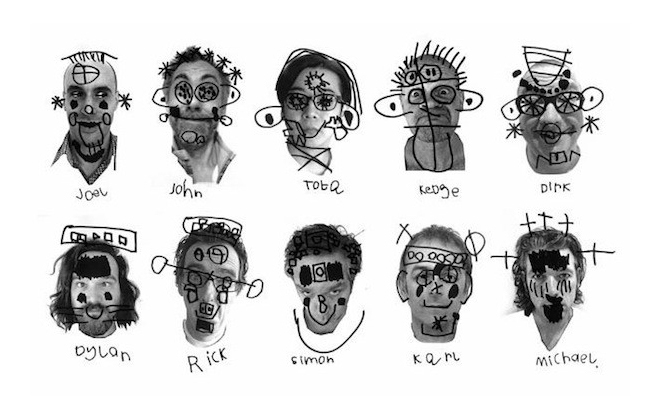 Portrait drawings of members of Tomato, including John Warwicker, Jason Kedgley, Dirk Van Dooren, Dylan Kendle, Rick Smith, Simon Taylor, Karl Hyde, and Michael Horsham. DK: It was a really exciting time to be part of it because they were doing all kinds of interesting work. They were making commercials, doing lots of print, multimedia... and to play with film – moving image as well as print. We even had the likes of Tom Roope, who was part of Antirom. He would be working in programs like Director and things like that. But Tomato has no hierarchy. Antirom is an art collective that was formed in 1994 by designers focussed on exploring interactivity. What was the first title sequence you ever worked on? 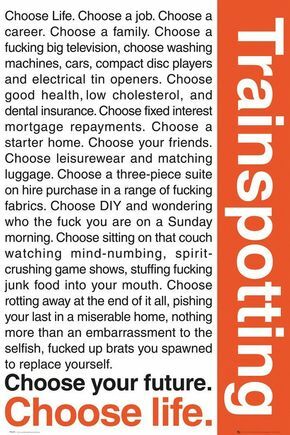 DK: It would be Trainspotting! That’s a fine way to get going, right? DK: [laughs] Yeah. It was one of the first things that I did with Jason [Kedgley]. I was talking with Jason about this earlier and he seems to remember that Danny [Boyle, the director] was meeting with Underworld, who are part of Tomato. They were two of the founding members. So he was in and I think the subject of titles came up. It wasn’t like a prearranged meeting or a brief and a pitch or anything like that. It was a conversation in the studio. I think the film was such a success because it was a story about addiction, but actually it was a story about the times. So when you took on the project of the titles, how did you decide what it was going to be? DK: Well, there was no budget! So there were certain things it couldn’t be! [laughs] I think Danny would have rather had no title at the front but contractually you had to have one. So it was more: let’s see what works. We had a think and went back to him with a very simple idea. And he went for it. Was that opening edit – the live-action clips, the voiceover narration – in place when you started? DK: Yeah, that was already set. It was an introduction of the characters. And we were providing the artwork for the cards. What was your process for creating that typography? DK: At the time we were using a fax to generate a lot of artwork. A thermal fax. A lot of stuff was still being done optically. Partly because of the budgetary constraints but also because we wanted to explore the process, the rostrum process, we wanted to do it optically. It was almost like cel animation. We built the animation in Director, which is an old kind of multimedia animation program, and then we printed out every frame, and then we faxed it. The thermal fax gave it a texture that was very of the era but also very difficult to replicate digitally at that time. It was a physical mark – it was made using heat. So you were literally burning it into the paper. So not only did it have a really nice look to it, but it also had a really nice brown colour that worked with the heroin story. It was a physical mark — it was made using heat. So you were literally burning it into the paper. DK: But obviously, the main title reveal is only eight seconds or so long, so that was I guess about 200 frames. Unfortunately the fax machine was not very accurate, so some of the frames would come out about A4, and some of them would come out twice A4, which meant you got some really interesting visual effects but it made the type completely illegible. It made it impossible to line up and register. We tried a whole bunch of times, incurring more costs and delay. And we didn’t have any money! [laughs] We also didn’t have very much time, so in the end we had to recreate it in Flame. We’d spent two weeks trying multiple passes of it from a faxed original artwork and then we rebuilt it in about two hours in Flame. And then there’s a kind of reprisal at the end with the the actors’ cards set against their characters at the back-end of the film. Were the back-end cards all done with that fax process? DK: Yeah, exactly. The titles over the front are, too, but not the main title. The main title is digital but with a faxed type in there. The lines are digital. 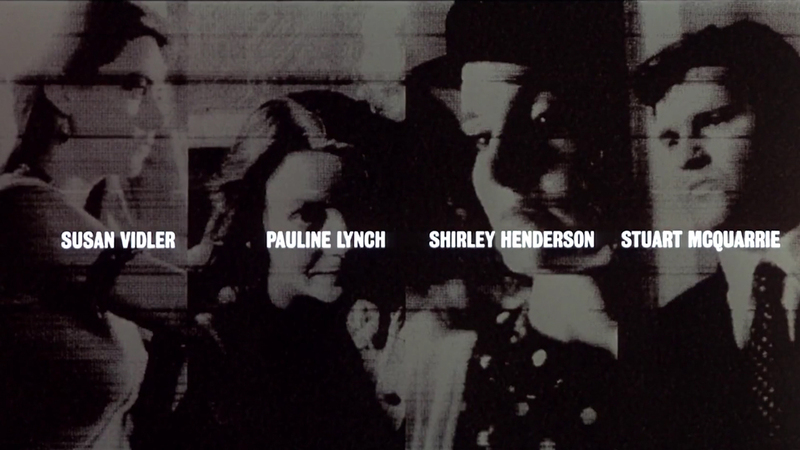 You don’t see that freezeframe look too often in title design. It’s been done as early as The Wild Bunch. Was that an influence for you? DK: I don’t know how many people get what the graphics are trying to do, ‘cause the train tracks are fairly obvious, but obviously the needle tracks are the other thing that is fundamental to the film. Those sets of interconnected lines made as graphic as possible was what the main title was all about. So that makes me think of the titles to The Man with the Golden Arm. DK: Certainly Bass was a big influence. It would be naive to suggest otherwise! [laughs] Personally, I like to reduce things to their most minimal, and I think Bass does that fantastically well. DK: I suppose there’s probably bits of BLAST in there. The Wyndham Lewis book, Vorticist Manifesto. Using the same sort of typeface, very black and white. 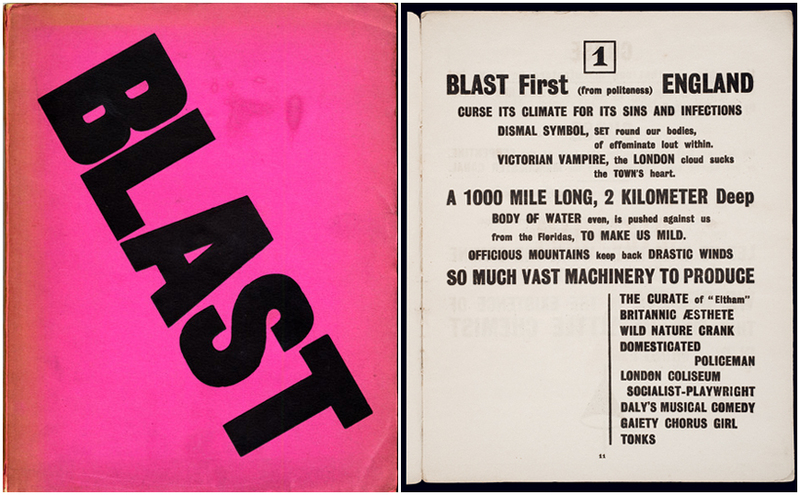 The cover and an inside page from the Vorticist journal BLAST No. 1: Review of the Great English Vortex, June 20, 1914. See more at The Modernists Journal Project. DK: The original brainstorming to get to the lines was one thing. But it’s not overanalyzed. We didn’t set out to reference anyone in particular. It was just what was in the ether in the time. You feel your way through the process. DK: Absolutely, absolutely. It has to have a relevance to the material, and it also has to have a relevance to the time and I think that’s why it chimes with people. It has a lot to do with that kind of disruptive nature – the sound comes from nowhere, the graphics come from nowhere, and then you’re somewhere else. I think the film was such a success because it was a story about addiction, but actually it was a story about the times. The subtext was much deeper than that. I think Danny does that very well. 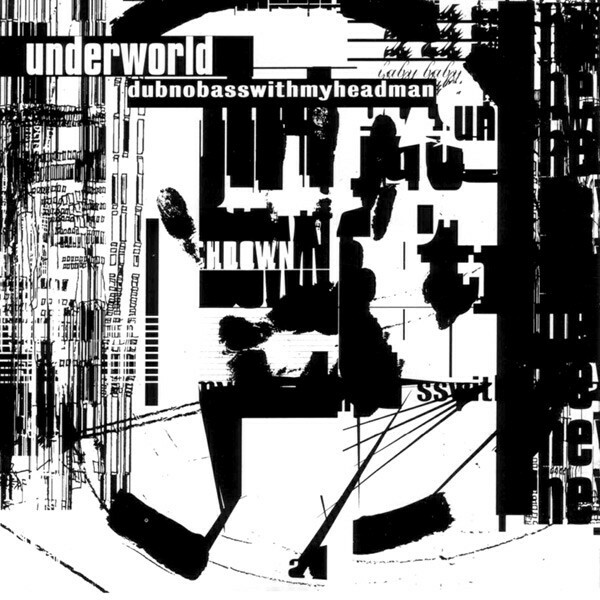 So, as you’ve said, Underworld was a big part of Tomato, and you’ve created numerous music videos and other projects together. What has that been like for you? DK: Right, Underworld have been part of Tomato since its beginning. Previous to that, John Warwicker was a member of Freur, who were Underworld’s previous incarnation. And there’s a kind of… mutual respect. 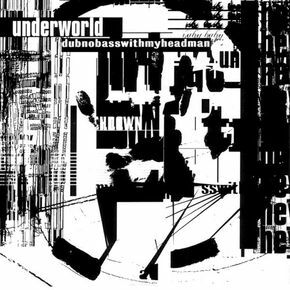 Often with Underworld, they just want you to get on with it. There’s no brief. It’s just like, we’ve made something, can we make something together? They like the process to be quite pure. DK: Well, that’s Jason [Kedgley] and I again! Exactly. Process is fundamental to the way that Tomato works. The act of making these is as important as the final result. DK: [laughs] No, absolutely. We wanted to make a really simple graphic music video that has lots of energy that’s purely type! And really with the exception of a circle and a rectangle all that’s in it is type – it’s literally the words of the song. They’re done at a letter level, at a word level, and also at a verse level. The moires that occur just happen naturally when you kind of time-stretch them out. It’s an interesting process, and process is fundamental to the way that Tomato works. The act of making these is as important as the final result. More important, I think, in lots of ways. Do you have personal favourite title sequences from this time period, the ’90s or 1980s? DK: I always loved Delicatessen. I mean, I was in love with the film, and I think the titles are just a really useful conduit into that world. DK: I love the craft of it. And that would’ve been a difficult thing to do then! They are so intrinsically part of the film. They’re incredibly beautifully crafted and set you up for what is also a crackin’ movie. What should a title sequence do, in your mind, when you do these projects and in general? DK: That is one of the first questions. What is it that it needs to do? Is it just branding it? Is it setting the scene? Is it telling the backstory? The most important thing, I think, is it’s almost like a palate cleanse from reality. It’s a way to transport you into the world of the movie, whether by giving you some clues, giving you some backstory… it’s something that enables you to sit back in your seat and embrace the disbelief.